Learn about the 5 basics types of jabs in boxing. Learn how to throw these basic punches and when to use them. How to throw a Basic Jab: This is real simple. Without moving your feet or body or head, simply extend the fist of your front arm straight out towards your opponent. Upon impact and/or full extension, recover that fist back to starting position resetting your body back to its regular stance. Pros: The basic jab is a standstill punch and easy to throw without compromising your defense. The focus is on speed and accuracy so that you can setup bigger punches. Cons: The basic jab has minimal power. You must follow it with bigger punches like the right cross or left hook or else your opponent will walk through it. Pros: The step jab offers more power than the basic jab and allows you to surprise your opponent. You can use the step jab to quickly move from outside of reach to within reach and land punches when your opponent is not expecting it. The step jab will allow you to advance forward into your opponent testing his defense while at the same time still giving you the option to retreat. The reason I use it at least 80% of the time is because the step jab is probably the only punch that can take you from outside of range into punch range. Cons: The step jab compromises your balance because there is a period where your feet is spread further than the basic stance. If your opponent lands a punch on you at the right time, you may lose your balance and become vulnerable to other punches. The step jab may slow down the speed of your 1-2 combination because you cannot throw the right cross until the back foot slides forward into position. Pros: This is a power jab because your whole body is moving forward as your throw the jab. The power jab makes it very easier for you to throw a fast 1-2 because the back foot will be planted and ready to power your right cross right after your jab is thrown. Cons: The power jab is easier to see and defend against since the movement of your front foot gives away your intention to attack. The power jab is harder to surprise your opponent because it is thrown with the movement of the back foot instead of with the front foot and lands later. Pros: The pivot jab allows you to generate power while pivoting your body out of harm’s way. The pivot jab takes your boxing ability to the next level by allowing you to use angles in your punches. Because your jab was thrown from an angle (due to the pivot), the following right cross will also come at an angle making it easier for you to land punches and harder for your opponent to block punches. The pivot jab has offensive qualities (power), counter-punch qualities (angle), and defensive qualities (movement). The pivot jab can be used to play keep-away as you try to box your opponent from a distance or you can use the pivot jab at the end of a combination as you pivot your body out of the way. Cons: The pivot jab leaves your balance temporarily compromised while you’re pivoting on one leg. The pivot jab may make it harder for you to follow-up with a cross since the back hand will be further away after you throw the pivot jab. How to throw a Backstep Jab: You throw the jab as you step back with your back foot. You will then recover your front hand as your recover your front foot. It’s a great way to stop your opponent’s momentum and quickly counter with a retreating jab followed by a cross. Pros: The backstep jab allows you to punch while retreating which helps to fight off an opponent’s attack. Cons: The backstep jab is a weak punch thrown while retreating. Although it may land, it won’t do much to keep off an aggressive opponent unless you combine it with other counter-punches. There are endless ways to use the jab. From my experience in boxing, just about every jab you ever throw will have qualities from one or multiple types of jabs listed above. I suggest you learn them all, master the ones that fit your boxing style, and use what works. Thanks for reading. What Is The Best Knockout Punch? expect to see your new article!! im starting my boxing “career” tomorow, first day of boxing training ever.tried marshal arts before, but long time ago, only basic kung fu and jujitsu. this article will make me not sleep toonight, cant wait to learn theese punshes propberly, will punsh in my sleep. i regonized what you ment about finding your “personall” punsh, i am a long man with long arms, thinking i will learn to hit long jabs of some sort that will fit my style and body. eager to get started. Good luck and let us now how you did. I’m sure you’ll have a lot of fun. What is the feeling out process? i find your articles very knowledge based and scientifically correct. i apply all that you’ve written and am truly amazed. please do reply. The feeling out process is where you patiently move around your opponent and throw a bunch of light shots at him to see how he responds. Once you have an idea of how to fight him, then you commit to hard punches and a more aggressive strategy. Isn’t the step jab and power jab essentially the same thing? Also, that’s some nice info about the pivot jab. I’m gonna try it out on the mitts as soon as I go to the gym to train. I hope this clears things up. Let me know how that pivot jab goes for you. It’s one of my favorite all time punches. i do sanda (chinese kickboxing) and i was taught a bit of boxing, im kinda confused about the power jab. is the power jab essentially the same thing as the cross? or is it a punch from the front arm while moving the back leg? 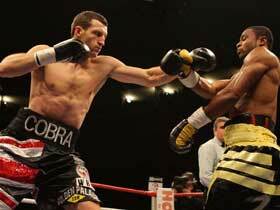 The power jab is punching with the front arm as you move the back leg in. What about the penetrating “Up-Jab”? 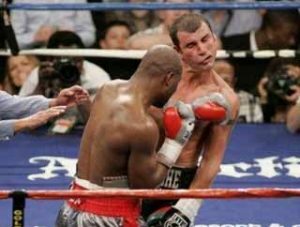 Larry, the up-jab is often a step-jab or power-jab but performed with the jab coming at an upwards angle while the head and body is lowered to create the upwards angle. Thanks Jesse! Good luck and let me know how you do. I’m not used to using my hip when punching mostly when i jab what should i do? Using the hip during the jab is easy. All you have to do is drop your hips a little. Let your hips be heavy as you dip the hips into the knees a little bit when you jab. Don’t think of it as forcing your hips, try to imagine it as you relaxing and dropping your hips into the jab. Your whole body will sink down just a little. Try it and let me know how that feels. Hi when i jab my shoulder keeps hitting me on the side of my face how can i fix these problem? This means your shoulder is properly protecting you. Mine hits me too but it doesn’t hurt. What you can do is make sure you’re not throwing your head into your shoulder. Just bring it close and keep that chin tuck but you don’t have to throw your face into your shoulder. How can i have a good stiff jab? @Dexter – for that stiff jab, just time your jab so that the punch hits the target when your foot hits the floor. Tighten that fist right when you straighten that arm. HEY JOHNNY , THIS IS MARIO, I´VE BEEN READING THIS PAGE EVER SINCE I FOUND IT BROWSING THE WEB AND ALL THE NOTES THAT U HAVE ON IT ARE GOOD AND THEY WORK AWSOME, THANKS FROM MONTERREY N.L MEXICO … SALUDOS!! Thanks for being a fan, Mario! I write for the diehard boxers like you! @Darren – the back foot just slides. You’re releasing your weight onto the front foot as your back foot slides forward. The focus is on dropping your weight as the backfoot moves forward, the footwork is minimal. @AA – it doesn’t matter as long as you keep it relaxed. I personally, have mine semi-closed or closed but not tight. I have recently begun training at a gym in Seoul, South Korea. The coaches here have been instructing me to use a vertical fist jab instead of the orthodox, parallel fist jab. Due to language barriers, I haven’t been able to figure out why, but I am curious as to whether this method of instruction is standard for newbies, unique to Korea, or if anyone has encountered this sort of thing before. Thanks for any and all help and input. @Ian – most trainers I know would say a vertical fisted jab is incorrect. Rotating the fist over does several things. It adds power by stiffening the arm, reduces the chance of injury by turning the jab sideways, increases the chance of cutting your opponent because of the twisting motion, and lowers your vulnerability by rotating the left shoulder up to cover your chin. Hey John I got a quick question.. Today a buddy and I were drilling our Jab-Parry’s, and I kept getting hit in the face.. Its funny because I was the one teaching him how to do it haha.. But what happened was when I go in for my jab I’m left wide open for his jab. Its like I’m literally staring at it. I’m only 5’1 and hes a lot bigger and taller, so obviously its easier for him to land it on me (disregarding my lack of defensive skills). SO what should I do? How should I change my Jab with that emphases of defending my self. Should i just be faster? Should i focus on slipping? Where should my hands be facing a much taller opponent? Should I hold my hands(guard) higher, way above my eyes? Because him punching down on me with my guard at chin/cheek position left a whole lot of Forehead and Eye exposure..
Ps, I was getting tagged in the left Eye a lot. I know that was more than one question but please get back at me soon, how i am suppose to instruct something I cant do myself.. Thanks. 2. bring your head low (under his jab)…. like Bernard Hopkins style. When you face a taller opponent, your hands stay in the same place. You only lift them if need be. You can’t just block your head because his long arms can easily reach your body. It will require more skills but you get better with practice. If you feel helpless, make him slow down so you can get the hang of fighting calm against taller boxers. The step jab i easily got parried and it did not feel good. so its probably best to throw the step jab at the right time? or when catching an opponent off balance? and as for the back jab i would like to ask even though its not a very powerful punch since im guessing because your momentum is heading backwards but i feel a backstep jab will mess up the rhythm of the opponents combination. do you agree ofrdisagree? Any punch you throw can get parried. Practice and learning how to use your timing will teach you how to throw it without your opponent evading it. The back jab is useful even if it doesn’t carry as much power. Any punch can be mess up your opponent’s rhythm, even if you touch his face right as he punches you can disrupt his rhythm. The backstep jab works well during retreat because your opponent is probably running into you with his momentum anyway. Great article, I read this now the first time, the pivot jab is a real deal I use this in the beginning as a normal jab dont think anything about it was cause I was feeling the power, after I learn the normal jab :D. what do you think about jabbing on the jump arround? You can jab anyway that you feel is useful. The problem with always moving while you jab is that you’re not as grounded. A solid grounded opponent can push you back if he knows how to push or counter you when you jab. That’s a pivoting jab. It’s useful and effective and has decent power. A common punch in boxing. He’s left-handed, by the way and he jabs with his right (obviously). The thing is, he usually just stretches his right hand out, which blocks my vision and intimidates me to go in the “attack zone” (he’s taller, too). I tried to weave past his right arm and land a cross on his body but his left arm is there to block it. I can’t jab, either (I’m a right-hander) because whenever I try to, his right hand is just THERE, ready to whip out. Any tips will definitely help! Thanks! The easier answer is to “slip outside of his hand or throw left hooks and left uppercuts at his head and body to make him wary of leaving the right hand out”. The hard answer is to “keep boxing and you will learn how to deal with it in time”. You can also parry his long arm down and try to wear out his arms. Hi, Johnny! Thanks for the reply! I look forward to reading more of your articles and applying the techniques I learn along the way. Keep up the GREAT work! 🙂 You have a very big fan here in the Philippines! P.S. I LOVE your article – 10 Counters for the Right Hand. I’m happy for you. Keep the pressure coming! This is a very detailed and comprehensive “Jab” article. I think this is the ultimate “Jab” variation guide for beginners and pros alike. Thanks, Coco! Have you checked out the “How to Throw a Jab” article? Yeah Sir Johnny. I read that already. That article taught me the raised-shoulders-jab, and it works out well. Before, when I jab, my jaw is always super exposed. Haha. Can I corkscrew a jab just like turning a cross punch into a corkscrew punch? The corkscrew technique is default punching technique. If you’re throwing jabs and crosses with the right technique, it will already be a corkscrew punch. Thanks for a simplified punching guide. The well explained article of your is really helpfull. I practice MMA here in Mumbai, India. Hence I am always in search of more and more information , came across your article just by chance and I am really glad that I read this article. Once again thanks for imparting your knowledge. You’re welcome, Hrishi! I’m happy to see my site has reached all the way out to MMA fighters in India. You don’t literally standstill when throwing a basic jab… right?Like there’s foot movement when throwing,like rolling with your back foot. For 8 months the whole time i been using a step jab and i thought that was a basic jab.Its no wonder every time i threw that punch i was really close to my sparring partner all of a sudden.It wasn’t until recently when i was on mitts with one of my trainers that he corrected me by basically saying don’t rush in with the jab.And he showed me a real jab and all of a sudden everything about the jab made sense to me.BTW i’m a aggressive fellow in the ring so i tend to want to land power shots but i get hit ALOT in the process.Even tho its sparring i go full on 100%.But i actually want to learn to BOX and not just go out there brawling so thats why i’m asking this question so i can box better and not get hit as often.I haven’t even started competition yet but want to now so i can turn pro in two years at 22 yrs old.But the problem is i get hit alot and i tire very quickly like in the second round, is running 3 miles even enough?Or am i getting tired cuz of throwing power shots all the time? Yes, stand still when you throw the most basic jab (no foot movement whatsoever) although you can generate a TINY bit of power through your legs and core if you want but keep the body movement minimal. The jab is supposed to be a sharp fast punch, not a knockout power punch. Getting hit a lot and getting tired quickly has to do with lack of experience. Keep training, and working on your technique. You’ll get there if you work hard and keep working hard. 3 miles a day is plenty, mix it in up with sprint intervals. Hello Johny..i have 2 questions..what is the best practise to develope full extended jabs and what is the uses in a fight..thank you very much keep doing i am fun. How about shadowboxing, mittwork, bag work? 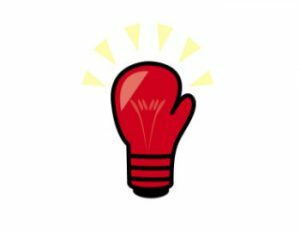 i love boxing and now i am working by myself.my goal is to do my jab realy quick and perfect trchnical..when i jab : i step with my left foot jab with my fist then recovers my leg and my hand WITHOUT MOVING MY RIGHT FOOT ATALL.Should i have to contiue working this way? That is one way of doing it but another way is to recover your back foot as you recover the front hand. Hey Johnny.What are your thoughts on using a stebback jab,followed by a step forward right cross or overhand right while slipping left if your both orthodox.the jab while stepping back disguises the movement of your feet stepping back.Ive heard people say don’t jab while moving back but there are tactical uses right.? You are right, Tom. Those tactics are commonly used and highly effective at the right moments. Do it! Love these articles. 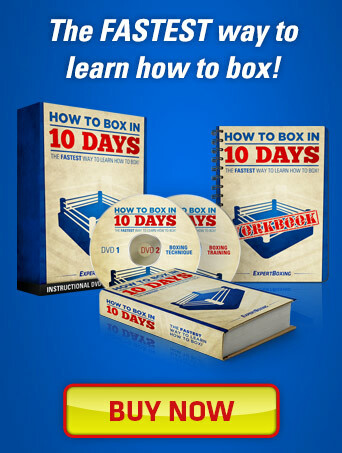 All of the info here WORKS and is helping my fighters as I teach them your info. Thanks for sharing knowledge! Congrats Johnny you are getting the ultimate “share” on this article. I am the Editor of Alpha Up Magazine and a fan sent us the link to your page here, asking us to review it. Well we think it is deserving of more than just a review , so we are including it in our summer publication of ALPHA Magazine, a quarterly not for profit e-mag that covers all the things Alpha that our readers have asked us about that season. Please contact us if you want to update the article, change your photo or would rather not have the article published in our magazine. We do not run ads in this special edition but we do give contributing bloggers a 1/2 page to promote their blog or business. This blurb will run next to your story, and can not include any affiliate marketing links. If you want to send us a banner please use .png .jpg html or an embedding code. As always, I love your posts. But I actually wanted to add a few more types of jabs that I teach my boxers. You have already given 5 of them: Stationery, Step-In, Power, Backward, and Pivot. I have 3 more variations to add. 1) Vertical Jab- this is a jab that lands with your thumb upward. Manny Pacquiao uses this punch a lot to squeeze between a double arm guard. 2) Circling Jab- Literally, throwing your jab, while putting yourself (esp you feet) in position to almost simulataneously put yourself around the outside of the opponent’s jab after throwing. (This punch is also set you up to throw an overhand right; or, if the opponent throw a punch that left him off balance, you can hit him with a wide open right to his head). And finally, this is only for an advanced level fighter, but (3) the Southpaw Jab- if you are advanced enough to swith stances safely, this will throw your opponent off by showing him your versatility. Also, (again, this is for advanced level fighters), but when you throw this jab, make sure your lead foot is outside of his. Love all the additions. This post is really outdated, too! Thanks for stopping by again!